Marinated Chicken – the easiest way of preparing chicken drumsticks, but the most delicious. I am sure that you have all marinade ingredients in your kitchen so you can finish this dish for a short time and surprise your family! We can prepare chicken drumsticks on different ways and every time they are really tasty, with few or too many spices. 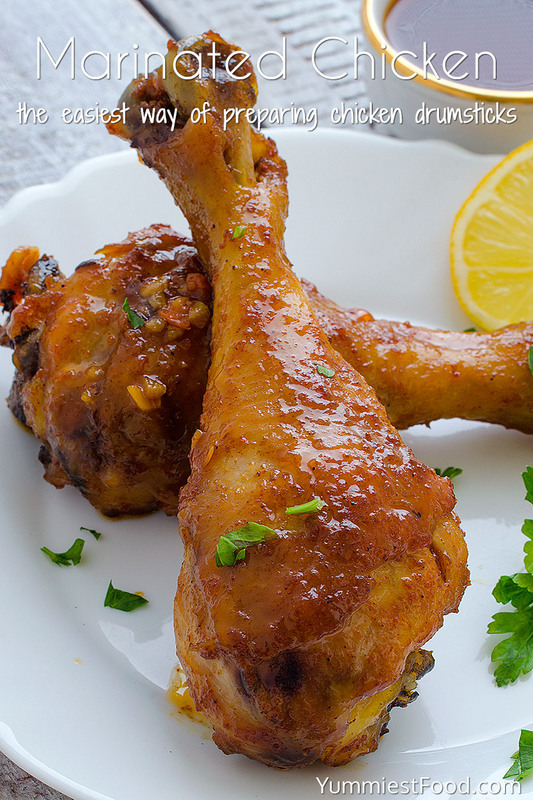 Marinated chicken drumsticks are perfect when you cook them in the oven, and with a side dish that you want this can be perfect and quick lunch. Surprise your family members with this delicious specialty. I am sure that you have all ingredients which you need at your house, but you can always add something new. Honey perfectly goes with sweet things, but we use it in the combination with different spices, we can use it in marinade, and for coating. 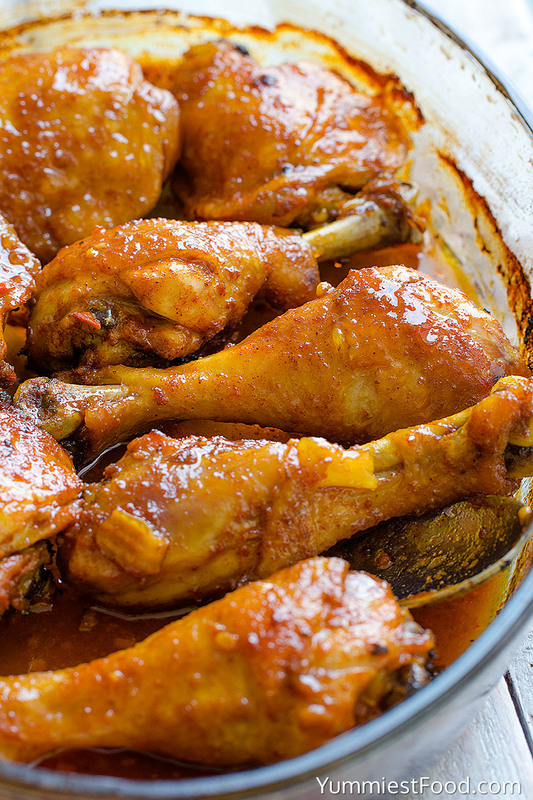 The easiest way of preparing chicken drumsticks is to cook them in the oven, they will be so soft and spicy, marinated in honey, soy sauce, spices, paprika marinade. 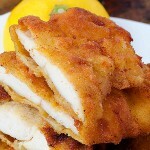 Every time I prepare them on this way, they are perfect, with a rich flavor and crispy crust. 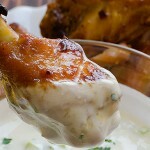 My children like this way of preparing chicken drumsticks and I use this recipe a lot. My husband prefers preparing chicken drumsticks on the barbecue in our garden, with his friends and beer and they always want more, so I prepare a few side dishes which we use in combination with these chicken drumsticks. You can prepare these chicken drumsticks for a very short time, but we usually do not know in which dish we can prepare this recipe. Ceramic pots are good, but I usually use glass dish. Salty sweet taste of marinated chicken drumsticks is really good combination. Try to make this recipe and you will see that your family will be surprise. I want to tell you that I always cook multiple batches of this dish because my family always wants more. 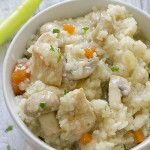 Try to make this recipe, and I am sure that you will like it very much. 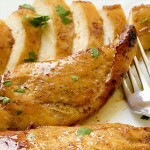 Marinated Chicken - the easiest way of preparing chicken drumsticks, but the most delicious. I am sure that you have all marinade ingredients in your kitchen so you can finish this dish for a short time and surprise your family! Mix marinade ingredients: honey, soy sauce, lemon juice, mustard, paprika, salt, pepper, garlic. 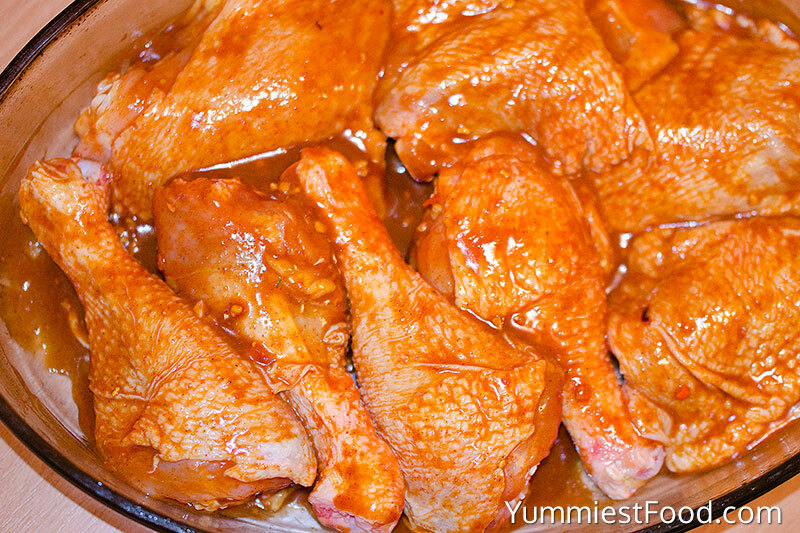 Put chicken drumsticks in the glass dish, add marinade and rub drumsticks. 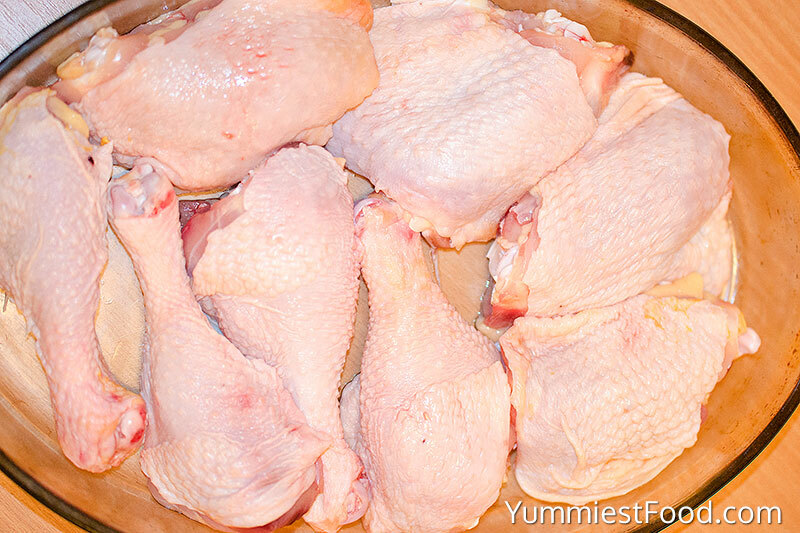 Cook drumsticks for 15-20 minutes, then turn the other side and cook 15-20 minutes, too. Has any one made these? It sounds so good. I made it and it was good but didn’t look like pictured. There was too much liquid so it wasn’t golden like in the picture. Still tasty though.